Every year The Root pays tribute to black innovators, leaders and world changers with The Root 100, our annual list of the most influential African Americans, ages 25 to 45. And now it’s time for you, the public, to help shape this list by nominating the people you think represent the best and brightest in the fields of social justice, politics, entertainment, sports, media, the arts, science/technology and business who caught your attention this year. The Root 100 has always had its share of celebrities, superstar athletes and well-known political figures. Last year’s list was topped by the Queen Bey herself, Beyoncé, whose visual album, Lemonade, dominated the cultural conversation for most of 2016. She was joined by NBA star LeBron James, activist-actor Jesse Williams and director Ava DuVernay. But we’re also looking for those figures who work tirelessly in the community to speak truth to power. People like Charlene Carruthers, who heads the Chicago-based Black Youth Project 100, and the Washington Post’s Wesley Lowery, who won journalism’s highest honor, the Pulitzer Prize, for leading his paper’s coverage of fatal police shootings. We’re looking for those educators who are shaping the minds of the next generation, like Wisconsin educator Nancy Hanks; and the scientists who are forging a path to innovative discoveries, like physicist Hadiyah-Nicole Green, who is developing a laser treatment that destroys cancer cells. Tell us about inspirational people like Haben Girma, the disability attorney who become the first deaf and blind person to graduate from Harvard Law School. Or tech entrepreneurs like Kathryn Finney, who is providing opportunities for women and people of color in the digital space, an area where we’re often invisible. Finding these amazing individuals is where you come in. 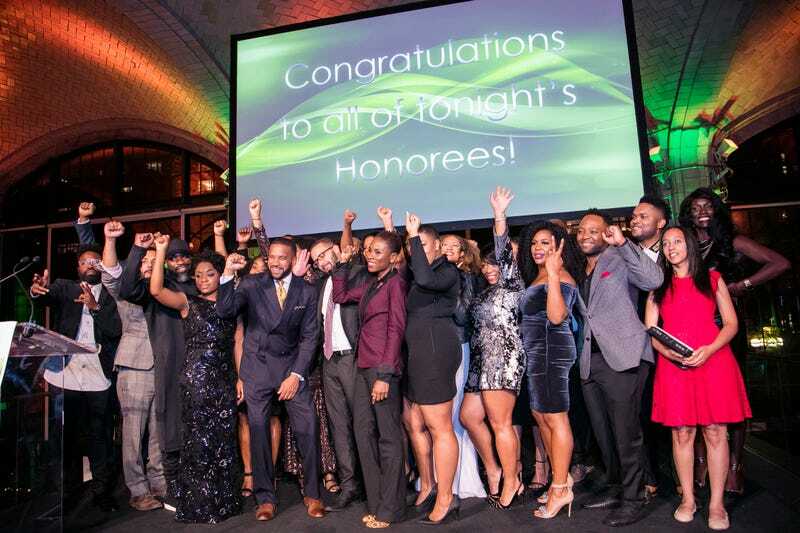 From now until June 20, please take a moment to tell us about those extraordinary individuals who exemplify excellence while also elevating the causes of the black community. Over the next few months, The Root staff will collect your nominations and put them through a unique algorithm that will generate a score for substance and reach that will determine each person’s rankings. We will announce the complete list later this year. Please take a moment to fill out the nomination form.